By their very nature, fashion and museums seem incompatible. The former is constantly moving forward, trying new ideas, pushing boundaries, eternally fresh and innovative, while the other consists of artefacts from centuries past, objects that are defined by their history that represent a bygone era. So the concept of a fashion museum may seem contradictory and redundant, but guess again, because London is full of museums that document and celebrate historic fashions and contemporary trends. The Fashion and Textile Museum doesn’t have a permanent display, which is proof, if ever you needed it, that museums can stay as fresh and relevant as today’s fashions, constantly evolving and remaining cutting-edge. 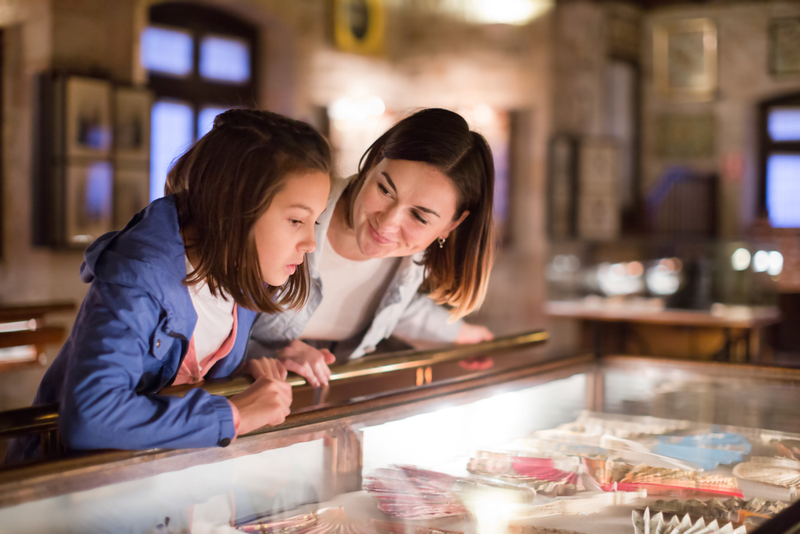 Instead, the museum comprises an exciting programme of focussed temporary exhibitions, showcasing a rich variety of contemporary fashion and textile items throughout the year. Iconic British designer Zandra Rhodes founded the centre in 2003 in the heart of suitably fashionable Bermondsey Village, with exhibitions exploring elements of fashion, textile and jewellery. The centre has a hefty focus on developing new talent, acting as a hub of learning, ideas and networking for the fashion and jewellery industry. It comprises a fashion school that runs courses for creative students and businesses, workshops and computer design courses, as well as talks and events led by interesting and provocative speakers. Operated by London College of Fashion behind the bustling Oxford Street is this exciting contemporary exhibition space. Set up in 2010, Fashion Space Gallery lays on a popular programme of changing exhibitions, engaging with fashion and design in its widest sense. The ethos behind the exhibitions, aside from supporting high quality and innovative visions, is to showcase established artists as much as emerging talent with the space providing a platform for London College of Fashion students and graduates. Fashion Space Gallery is free to visit all year round. 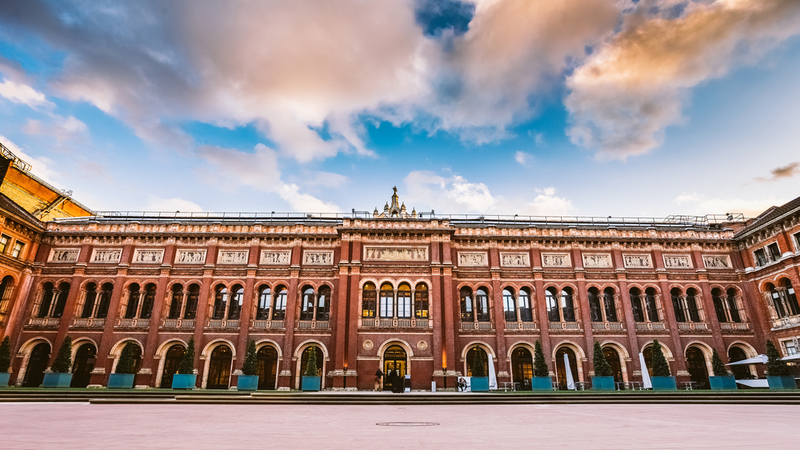 V&A – as it is also known – is one of the more well-known museums on our list and the world’s leading museum of art and design. Its fashion collection is the largest and most comprehensive collection of dresses in the world, spanning five centuries. Highlights in the collection include rare 17th century gowns, 18th century ‘mantua’ dresses, 1930s eveningwear, 1960s daywear and post-war couture. 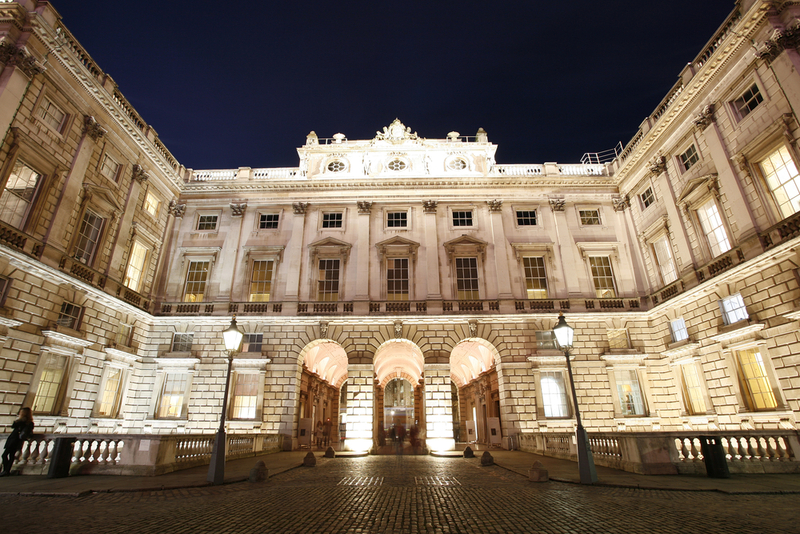 Aside from fashion and textiles, V&A holds some of the greatest resources for the study of architecture, furniture, photography, sculpture, painting, jewellery, glass, ceramics, book arts, Asian art and design, theatre and performance. V&A forms part of a trio of brilliant museums in Knightsbridge, completed by the Science Museum and National History Museum. All of which are free to visit and make for a great triple whammy if you want to tick off three of London’s greatest museums in one day. It is especially handy to walk to for any guests at the Grand Royale London Hyde Park hotel or any other four star hotels in the capital. This Neoclassical building on the south side of the Strand is known primarily for being a platform for the visual arts and its open air ice rink around Christmas, but it regularly hosts exhibitions focused on contemporary fashion perspectives too. These shows are temporary, so check to see what’s on before visiting. 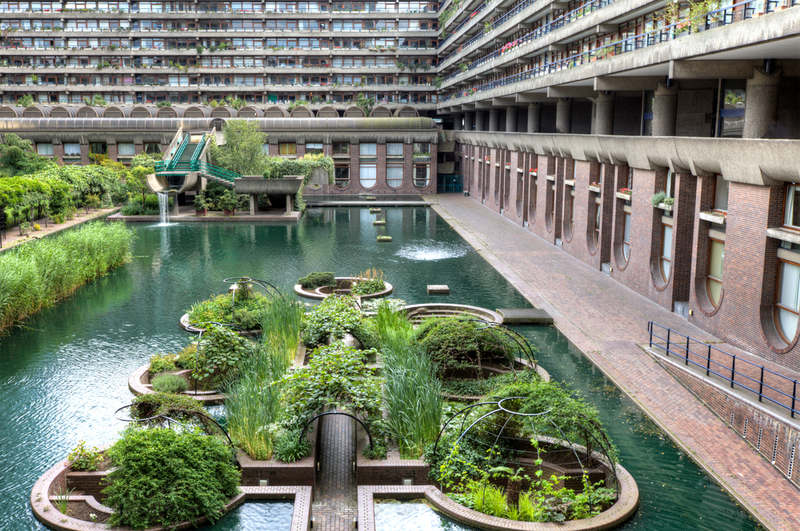 Another venue that regularly caters for limited-time fashion exhibitions is the Barbican. It recently hosted a collection exploring taste in fashion, from the renaissance through to contemporary design, examining the notion of vulgarity in fashion whilst revelling in its excesses. Again, exhibitions rotate constantly, so you’re not always guaranteed something fashion-related. The Design Museum has recently reopened after shifting to a new site, three times larger, in West London as part of a £17.5 million relocation project. The move saw it attract record numbers in its first three months and there’s everything to suggest its success will continue. Its rota of temporary exhibitions tends to focus more on product design and architecture, but you can count on at least a couple of fashion-focused collections throughout the year. Share the post "6 of the best fashion museums in London"